Some foods in a country are considered as an unique attraction of that region. Tasting these foods for tourists is a novelty with an interesting and new flavor. So this taste, along with other landmarks of that area, makes the journey more memorable and more marvelous for them. 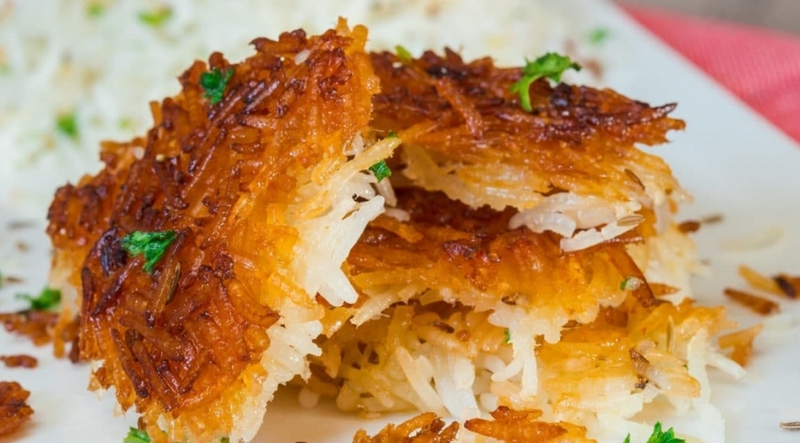 Iran also have these special foods. Kebab is more diverse than you think. The first type is Kebab koubideh. Minced meat and chopped onion, salt and pepper. It looks simple, but taste is awesome. 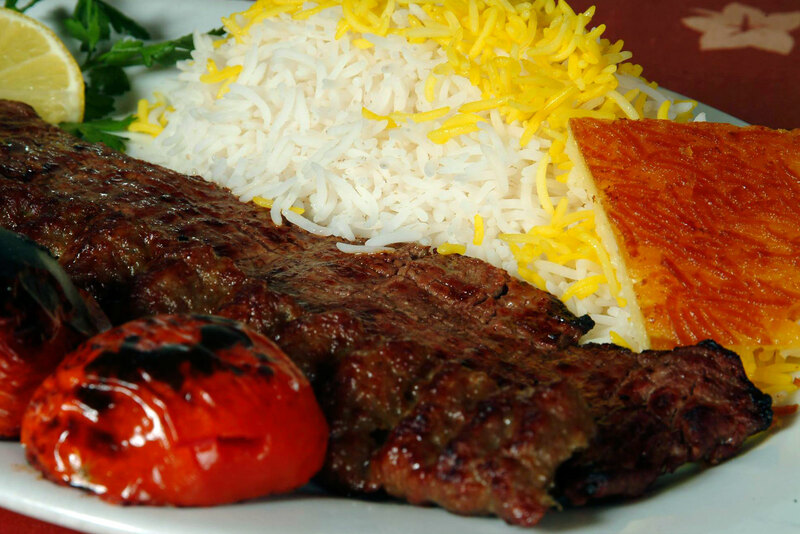 Kabab Barg is another kind of kebab that is made from lamb or calves, which added to saffron and butter and lemon juice for making meat more delicious. The grilled chicken, called Joojeh Kabab, is another type of kebabs too. 2- Ghormeh Sabzi Stew- (A mix of red beans, small pieces of meat and special vegetable) with Cooked Rice. 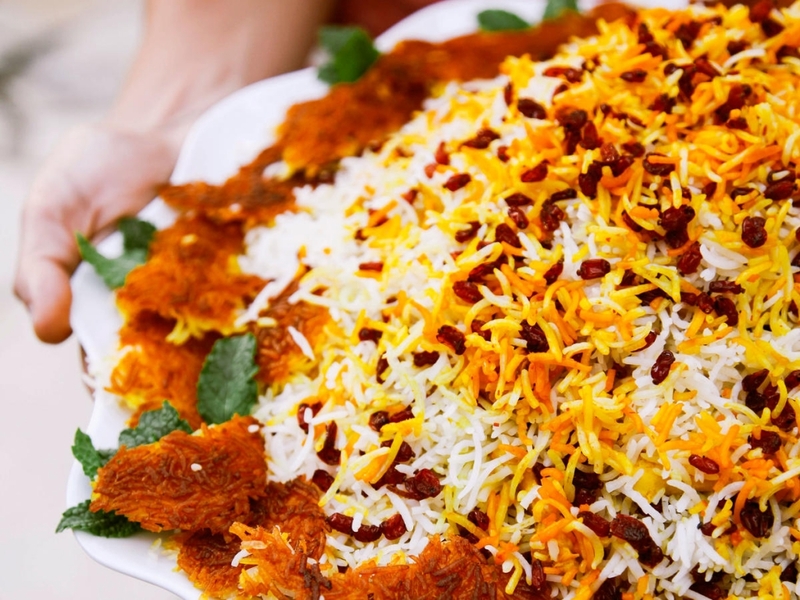 3- Zereshk polow- (Barberry Rice with chicken) the traditional rice dish, which is covered with barberry. 5- Tah dig -(crispy fried rice). Tah dig is Iranian food soul. That is a golden rice layer that the taste is similar to popcorn and potato chips. Usually there is no in the restaurant menu, and it should be requested separately. 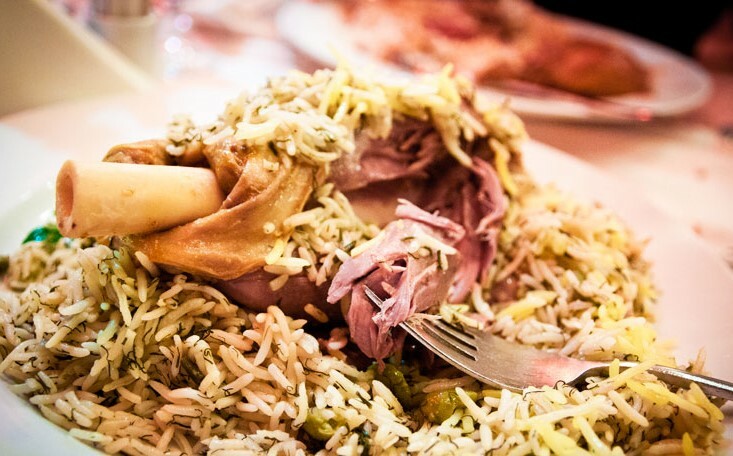 6- Baghali polow- Broad Bean and Cooked Rice with Meat. Green and yellow Broad Bean among Iranian rice with Scented vegetables and Saffron which is cooked with butter or oil. This meal served with tasty boiled meat. 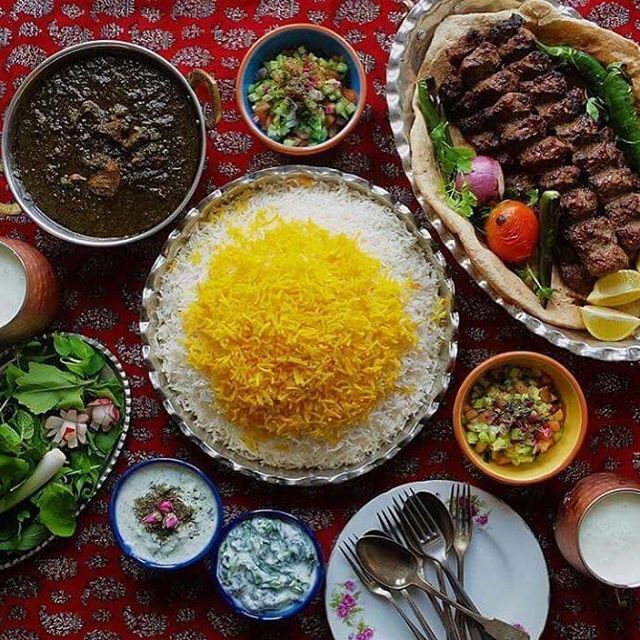 it is an unique Iran cuisine.